“Runners, set.” *BOOM* goes the artillery as over 24,000 participants careen through a blanket of smoke at the start line of the 32nd Annual Army Ten-Miler, Oct. 9. 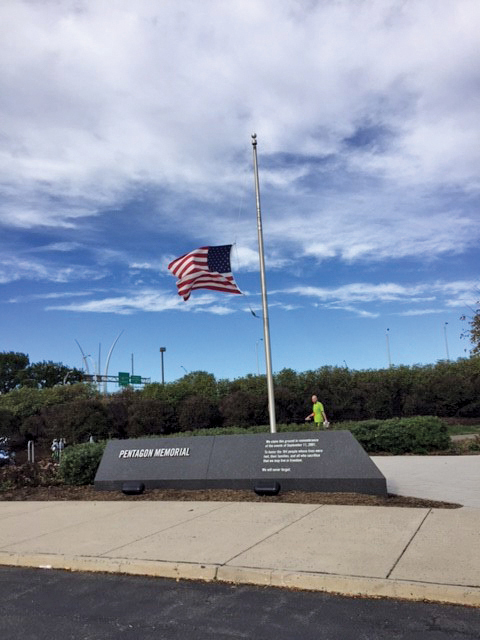 Year after year, Columbus Day Weekend marks a time of reunion, reverence, remembrance, honor, and pride in Washington, D.C. Runners from across the world – service members, families, civilians, alike – race through the Nation’s Capital in support of the brave men and women who defend our freedoms. While each reason for running may vary, the shared commonality is the time devoted to preparation and the resolute will to cross the finish line after 10 grueling miles. Amongst the participating teams at the 2016 Army Ten-Miler was the Fort Irwin Ten-Miler team. This year marked a rebuilding year for the Fort Irwin Team, who lost two of the top performers in 2015 to PCS and another two to injuries prior to Spring Tryouts. The team, partnered with Fort Irwin MWR, began the tryout season in March with only three of the eight slots filled – Team Captain, 1st Lt. Michael Camarillo (2-year veteran), Co-Captain, Capt. Yesenia Byrne (3-year veteran), and Capt.Clyde Daines (3-year veteran). After three successive tryouts of escalating difficulty (5 miler, 10K, 10 miler) and an intensive 5-week Pre-Season Workout regimen, the team was finalized at the end of April. The regular season consists of daily practices, typically removing the Soldiers from unit PT for the six-month term by way of a Memorandum for Record of Commander Approval. A standard training week consists of three days of mid-distance mileage around the Post, two days of high intensity interval or tempo runs in Freedom Gym, one day of medium-intensity duration runs, and one day dedicated to long-distance mileage. In escalating fashion, the training schedule builds on itself starting around 38 miles per week and peaking around 100 miles per week, incorporating two-a-day workouts. “This is my third and final year on the NTC Team and I am super proud of the team and honored to have had the opportunity to represent the NTC command,” said Capt. Yesenia Byrne, team co-captain. “Once again, the NTC Army Ten-Miler Team leads the way in training the force and led the way at our Nation’s Capital. Throughout the season, the Fort Irwin Team competes in multiple MWR races at the National Training Center boosting community support and outreach. The MWR graciously allows the team to compete in these races free of charge. The culminating point in training, initiating the onset of “tapering”, is the Ventura Half Marathon. This race in early September allows the team to assess their readiness and focus on key deficiencies over the remaining three weeks prior to the Army Ten-Miler. Unlike past years, the MWR hosted a Fort Irwin Ten-Mile Race at the end of September which served as a “send-off” gesture to the team. 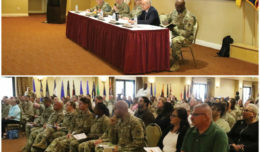 The National Training Center has been regaled as the “Crown Jewel of Combat Training Centers” hosting at least 10 Decisive Action Rotational Exercises per year, providing Army Brigade Combat teams with the opportunity to conduct full-scale Combined Arms Maneuver. A mission of this magnitude necessitates significant resources, manpower, and time from the resident units at Fort Irwin. This underlines the unique problem-set for the members of the Ten-Miler Team, likely unfathomable by their counterparts at other military installations. 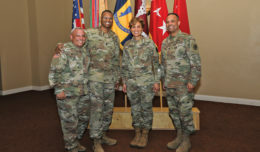 The 2016 team was comprised of three Soldiers from the 11th Armored Cavalry Regiment, two Soldiers from Operations Group, and two Soldiers from MEDDAC. The 11th ACR is the Opposing Force who replicates a near-peer combined arms threat for Rotational Training Units (RTU) to fight. Operations Group field the Observer, Controller, Trainers who assess and mentor the RTU throughout the training exercise. MEDDAC supports the unit readiness with 24/7 medical coverage and expertise for the National Training Center. All three units are critical to the success of the NTC mission, to “Train the Force”. Thus, the ability for the Fort Irwin Ten-Miler Team to compete in spite of the high OPTEMPO speaks volumes to their fortitude and resilience. “Runners, set.” *BOOM* goes the artillery as the Fort Irwin Ten-Miler Team raced away from the shadow of the Pentagon along the Potomac River. Through trials and tribulations, seven Soldiers proudly represented the National Training Center in this great Nation’s Capital on October 9, 2016. The team finished 15th overall out of 42 teams. More importantly, the foundation has been set boding promise for a competitive 2017 season. Thank you to the Fort Irwin MWR and the greater Fort Irwin community for the support and assistance. 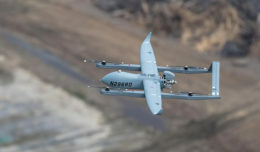 “Discipline and balance is what I would say about our team here at NTC, the team consists of those Soldiers that are conducting the mission here at the National Training Center, which makes us unique and valuable,” said Byrnes. “The discipline and balance that each individual team member has should be commended. The balance to conduct mission, readiness for the force, spend family time, and discipline oneself to put over 60 miles a week of running, says that each individual is committed to the team.